Did you know? 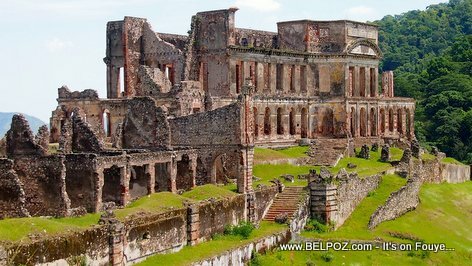 On May 7 1842, an 8.1 magnitude earthquake hit northern Haiti and destroyed the city of Cap-Haitien, Mole Saint Nicolas, Port-de-Paix along with King Henry Christophe's Palace of Sans Souci in Milot. The 1842 Haiti earthquake triggered a destructive tsunami. The city of Port-de-Paix suffered the greatest damage from both earthquake and tsunami. Approximately 5,000 people died from the effects of the earthquake and another 300 died by the tsunami. The 1842 Haiti earthquake was felt in Cuba, Jamaica, Puerto Rico andother islands in the Caribean. The Tsunami triggered waves as high as 4.6 meters (15 feet) in Port-de-Paix. In the city of Port-de-Paix, the ocean drew back 60 meters, before returning and flooding the city in 5 meters of water, killing between 200 and 300 of the inhabitants. The effect of the tsunami at Môle-Saint-Nicolas was catastrophic, leaving almost none of the town standing.